SaddleBrooke One features four distinct dining experiences for residents. The RoadRunner Grill offers breakfast and lunch—and serves as the perfect place to relax after a golf, tennis or laps in the pool. Gourmet pizza is found at Brooke One Pizza Kitchen. Looking for a night out—either casual or fine dining? The Agave Lounge and The Vistas are a perfect way to spend an evening. 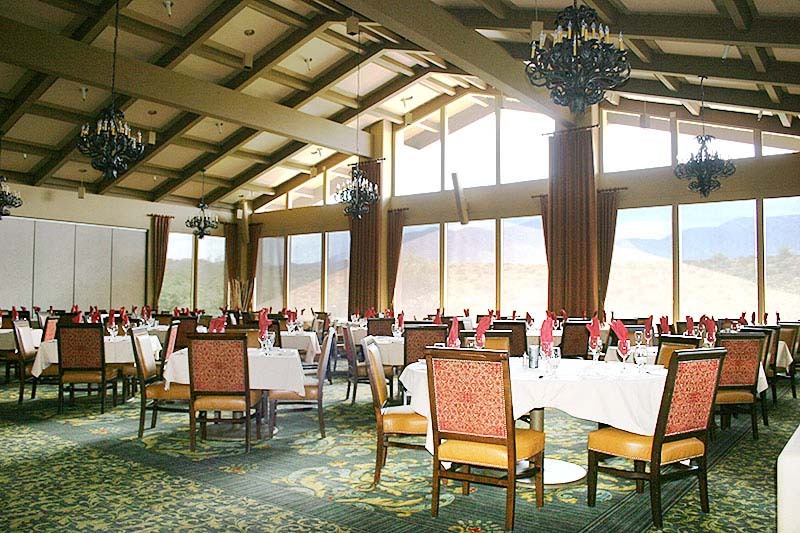 Dining in The Vistas and Agave Lounge feature a panoramic view of the Santa Catalina Mountains. The perfect backdrop for nightly dining or a special celebration dinner. Several times each month the best entertainment in Tucson performs in this venue. Chef Dave Bishow presents a frequently changing menu, along with weekly special features and classic homestyle favorites. Tuesday through Saturday 5-8 p.m.
Tuesday through Sunday 3-8 p.m. Happy Hour: Tuesday through Sunday 3-5 p.m. The Agave Lounge is open for food service at 4 p.m. If an early dinner fits with your schedule, please come in and enjoy a delicious burger! We have decreased the amount of reservations allowable during the popular 5-6 p.m. period. We appreciate your patience as we move forward to a more efficient service time. Monday through Sunday 7 a.m.-3 p.m. Happy Hour: Tuesday through Friday 3-5 p.m.
Did you know that you can get breakfast, lunch and dinner to go? Breakfast and Lunch are available to go from 7 a.m. to 3 p.m. in the Road Runner Grill seven days a week. Dinner and Pizzas to go are available from the Agave Lounge and Vistas from Tuesday through Sunday from 4 p.m. to 8 p.m. Please be advised, when the clubhouse is closed for special events, holidays and private dinners, take out will not be available at that time. Please see the calendar for any possible closures. Call ahead or place your order in person. You can enjoy a cocktail while your order is being prepared. Menus are updated frequently, so place order from the current posted menus on the website when calling in your order. Celebrate friends and family with a unique dining experience personally designed by you with the assistance of our professional dining staff. SaddleBrooke is the perfect setting for a day to remember.